"Hey, you ride Harley, pal? " Prepare to answer this sort of question early and often, because there's no way you won't be mistaken for a rough and tough biker in this vest. It's just the accessory for anyone looking to establish themselves as a rowdy king of the open road, without actually putting in the grunt work for a shady, loosely-organized group of dudes. 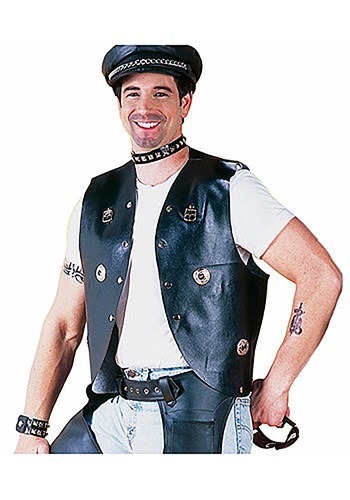 We actually have it on good authority that this vest qualifies you for most low-tier biker gangs and for the sales department at your local Harley shop! And maybe you do ride Harley! In which case, cool! But we know that after you've spent all day cruisin' on your mean hog, you're going to wish you had worn a sweet leather vest like this. It makes the ride that much more smooth, the look complete, and handlebar mustaches acceptable.